Unfortunately these never made it to a museum, but I was able to get some shots of them and am now able to share it here. These were uncovered during the excavation of the temple of the pillars in Chichen Itza Mexico. The tall one in the center is a woman giving birth, and if you zoom in you can see the babies head is actually sticking out. It amazes me how Egyptian looking the figure furthest left is. 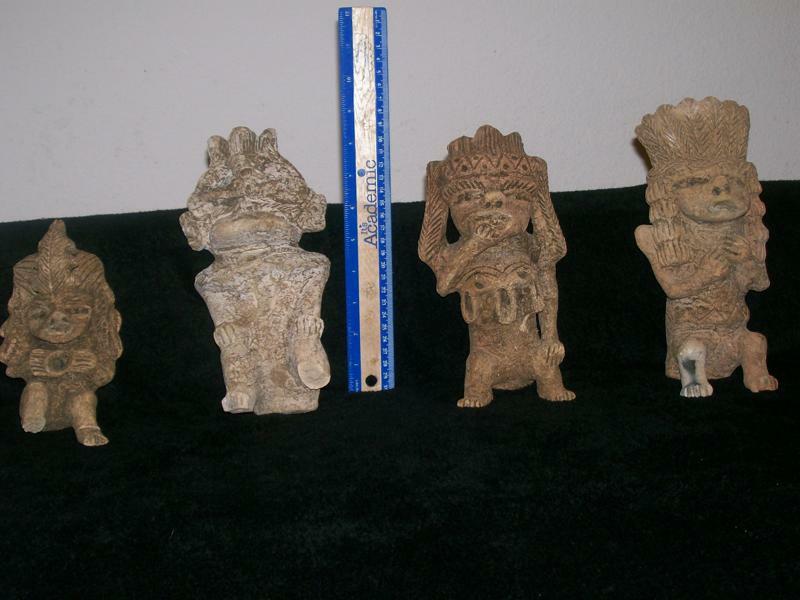 The following collection is also not in a museum and came primarily from South America.